← Things are ALWAYS Interesting in the Alzheimers Patient’s Mind! I am a huge fan of cookies that are artistic expressions. There are people out there that do their work on cookies and not on canvas. The Cookies look so Beautiful! I have a board on Pinterest that has 719 pins of these types of cookies. There are many cookie artists out there that I admire for different reasons. One is Ali Bee’s Bake Shop. She has some of the most beautiful and creative cookies I have ever seen. Some of my absolute faves are the old fashioned LARGE Christmas Ornament Cookies. She is magnificent! Look at the detail! There are lots of tutorials on her site as well. So that leads me to my actual subject of this post. Because of these fabulous cookies I started making a few here and there. NOT as beautiful as those by any means. And because of that I developed an addiction to buying cookie cutters! I was not able to find the BIG ones anywhere and finally saw something about Ecrandal. This is a magnificent cookie cutter business. 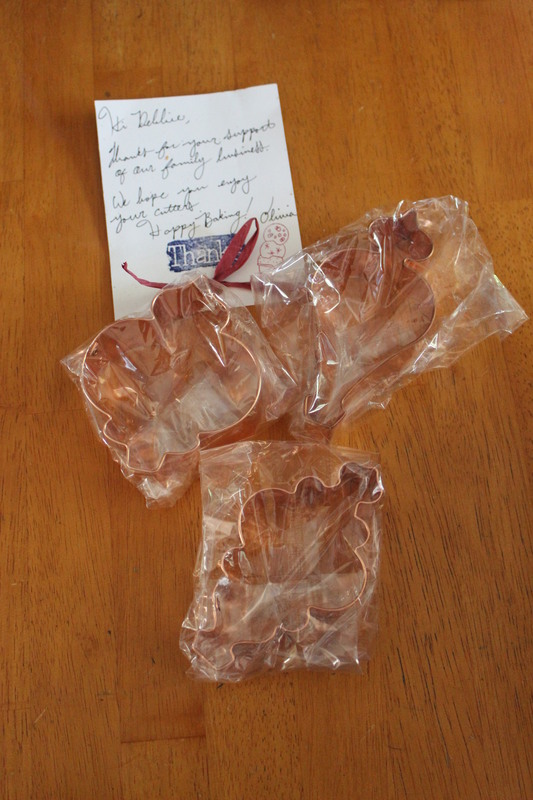 It is owned and operated by a family and each cookie cutter is made by hand by a real person here in the United States! 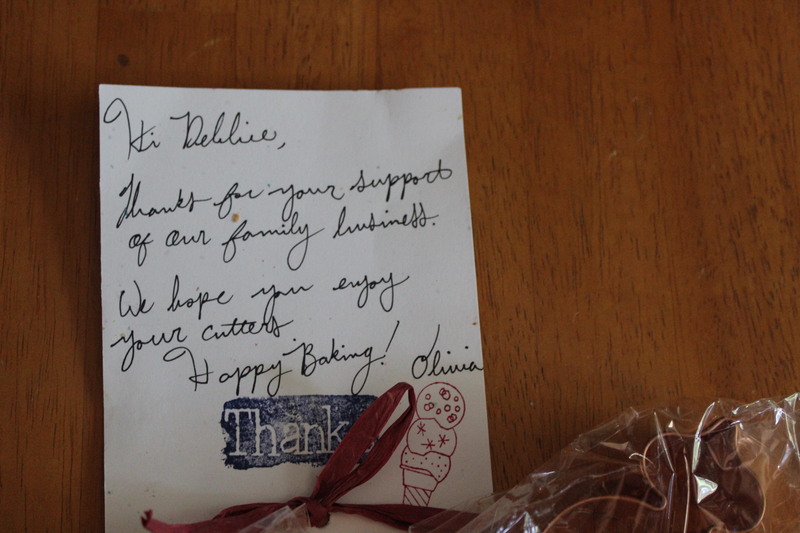 When they ship the cookie cutters they come with a personalized note!! I was so pleased to get this note. It made me think they LIKE me! It made me think that not all businesses are impersonal. The most fabulous part of this is that the cookie cutters are sturdy, hand-crafted and will last forever! You can make cookies with your kids and then pass them down or buy them a set. I will post pictures if I ever actually make these cookies. I should have time this year to at least give it a try and hopefully make them beautiful. Happy Baking Ya’ll! This entry was posted in baking, cookies, Uncategorized and tagged baking, baking artist, cookie, cookie artist, cookie cutter, cookie cutters, cookies, ecrandal, ecrandal cookie cutters, heirloom cookies. Bookmark the permalink.